Pat Hartnett (17 May 1910 – 1 July 1990) was an Australian Rules Footballer who played for St Kilda in the Victorian Football League (VFL) during the 1930s. 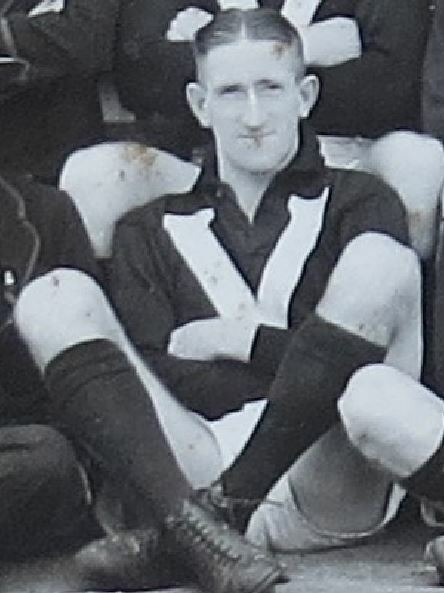 Hartnett came to St Kilda in 1930 from North Launceston in Tasmania and returned to that club after just one VFL season. He played with St Helens in 1925-27 and 1931. He then played with Cananore in 1932-33 before trying again at St Kilda in 1934-37. His second stint was more successful and he polled in St Kilda’s top three at each of the 1934, 1935 and 1937 Brownlow Medal counts. 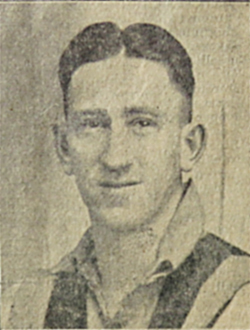 Hartnett represented the VFL in 1935 and kicked six goals in an interstate match against South Australia, to go with the 22 goals he kicked for St Kilda that year. Hartnett & Peter Hudson are the only two Tasmanians to have kicked six goals for the BIG V and they both are William Leitch Medallists (League Best and Fairest in the T.A.N.F.L), Hartnett in 1932 & Hudson 1978-79. The Hartnett family only received the William Leitch Medal in 1996 as Pat tied with Len Pye of the North Hobart Football Club as Pat lost on a countback. The T.F.L Commission in 1996 retrospectively awarded Medals to players who had tied and lost on a countback between 1932 – 1967. He finished his career playing for Brighton in the VFA and won the 1939 Recorder Cup and also played with Sandringham in the VFA in 1938. In 2005 he was inducted into the Tasmanian Football Hall of Fame. A fine high mark and a long distance drop kick. Hartnett has all the attributes of a footballer of class. © 2019 Pat Hartnett – Tasmanian Football.